Florida Cardiac Consultants, Inc. has been providing cardiovascular care in the Sarasota/Venice region since 1991. Our board certified physicians provide a complete range of cardiovascular services including stress testing, echocardiography, holter monitoring, cardiac catheterizations, pacemakers, defibrillators, angioplasty, stents, electrophysiology studies and rhythm ablation including afib, as well as the latest procedures that include transcatheter aortic valve replacement (TAVR) and transcatheter mitral valve repair (TMVR). Our physicians and staff are committed to providing our patients the best and most advanced cardiac care available. Our mission is to successfully provide treatments to our patients that enable them to retain an active and healthy lifestyle. Our physicians have hospital privileges and perform procedures at Sarasota Memorial Hospital, a top-100 heart hospital. 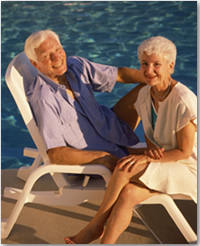 Florida Cardiac Consultants, Inc. accepts traditional Medicare and most commercial insurance plans. We are always accepting new patients! Please contact one of our offices for more information or to make an appointment.